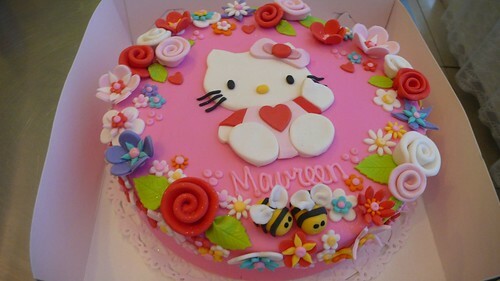 Hello Kitty Cake, a photo by CAKE Amsterdam - Cakes by ZOBOT on Flickr. Hello Kitty Dream Birthday Cake made for a woman turning 40!!! How CUTE is that huh?!!! Lemon Cake with Vanilla buttercream, lemon curd, jam and raspberries. I just adore your cakes. I made one by your template ( Bumba cake) and my nephew was so happy. He wanted to eat Bumba right away. Thank you for lovely ideas. I admire your creativity.